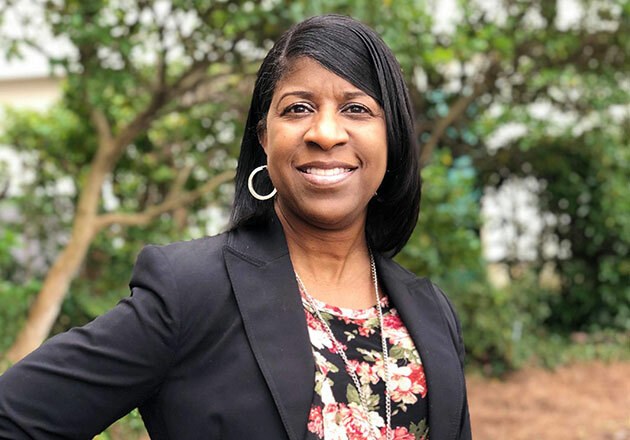 Florence Jackson joined United Way NWLA in January 2019 as the Impact Administrative Assistant. Florence’s main duties include coordinating volunteer and Bank On outreach events. She comes to United Way after nearly 30 years working for the local Comcast office where she coordinated the United Way workplace campaign. In 2018, United Way NWLA nominated Florence for Ambassador of the Year following her remarkable work to rally excitement around giving for Comcast employees. As a result, every year, Comcast employees gave generously to help the community. Some of Florence’s favorite activities during the workplace campaign included throwing water balloons, pies and dodge balls at the area managers. Florence is a Shreveport native and graduate from Woodlawn high school. She graduated with a degree in Liberal Arts and Business Administration from LA Tech. Florence and her high school sweetheart will celebrate 30 years married in 2019. Together they have two daughters and two grandsons.